A 7-year-old girl was shot while sitting in the backseat of a car in Southwest Baltimore, Baltimore Police said. The girl is currently in critical and unstable condition at University of Maryland Shock Trauma. The shooting was first reported by a tweet from the department's account at 2:56 p.m. Thursday. The tweet said the shooting happened near the intersection of Edmondson Avenue and Loudon Avenue, in the city's Edmonson Village neighborhood. 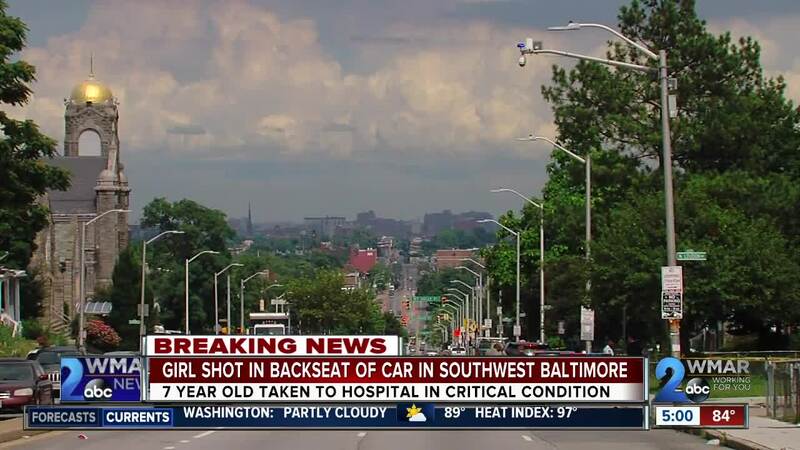 The girl was shot while sitting in the passenger side rear seat of a Honda, Baltimore Police's Public Information Officer T.J. Smith said from the scene. Another child sitting in the rear seat of the car was unharmed. At least one adult was also in the car. Smith said the shots entered the car from the rear. “She’s fighting for her life right now because there’s a coward in the neighborhood who thought that it was OK to get involved in some sort of shooting incident,” Smith said. Smith said the shooting actually occurred about two blocks away on Lyndhurst Avenue, with the car eventually stopping on Edmonson Avenue, leaving two crime scenes. Police got calls for shots being fired about the same time officers were responding to the victim. An officer who is normally stationed on Normandy and Edmondson was flagged down and rushed to the scene to deliver aid, finding the girl unresponsive in the backseat. A "private medic" who was driving up Edmondson was also flagged down and gave life saving aid before the girl was rushed to Shock Trauma. Smith implored anyone in the area who may have seen something to reach out to the Baltimore Police tip line at 443-902-4824, the Homicide Unit at 410-396-2100, or Metro Crime Stoppers at 1-866-7LOCKUP (1-866-756-2587). “This is 2:30, 2:30 in the afternoon when this occurred," Smith said. “Somebody saw this. We got phone calls for it because someone saw this. So we need those people who might have seen this to call us, give us some detail, what these guys look like, what was going on, what type of argument might there have been, we need something to go on so we can get our investigators going the right way…. "All bets are off here. We’re talking about a 7 year old. A 7 year old didn’t do anything to anyone. A 7year old’s not involved in the game," Smith said. 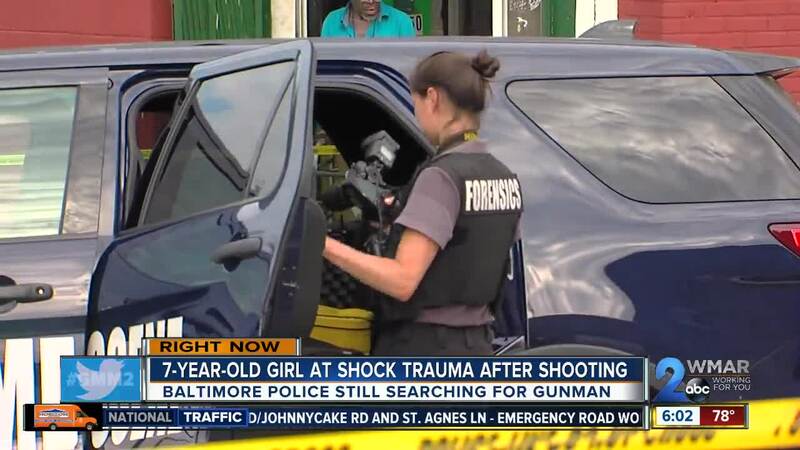 "This is a 7-year-old little girl who was in the backseat of a car, probably talking about Barbie dolls or something, and she’s in down in Shock Trauma fighting for her life. So whatever your differences are with whether it’s the police and the community or whatever, this is when we all come together. Even if you’re a bad guy, you know, this is outside the boundaries of any rules of the game. You don’t shoot any kids, so we just need anyone who has information to come forward for us as soon as possible." Maryland Governor Larry Hogan also weighed in; "This is a truly heinous crime. Praying for this little girl's recovery. The individual who committed this despicable act of violence against this innocent child must be identified, arrested, and prosecuted to the fullest extent of the law."